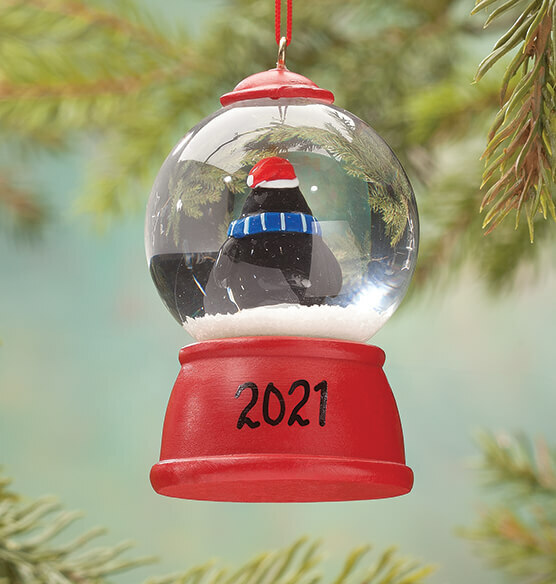 This merry little friend is ready for snow ... simply shake his waterglobe and bring on the blizzard! 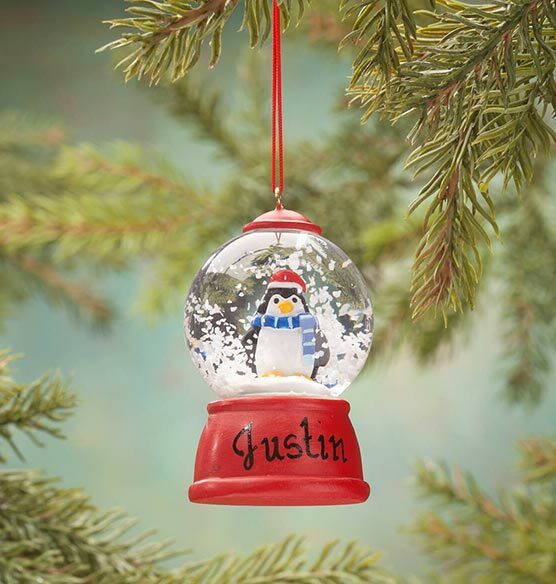 Featuring an adorable penguin in a stocking cap and cozy striped scarf, our exclusive personalized Penguin waterglobe ornament is a real working waterglobe, creating holiday magic for kids of all ages. We'll personalize for a one-of-a-kind treasure and keepsake gift. Specify name; limit 1 line, 8 letters/spaces. Specify year; limit 4 characters. Resin, glass with red hanging cord. Penguin ornament measures 1 5/8" wide x 3" high. My grandson is excited to have his name on the snowglobe ornament. What is the height & width of this ornament? BEST ANSWER: Thank you for your question. The ornament is 1 5/8" wide x 3" high. We hope this information will be of help to you.